Cenarth Brie is a more traditional French style of soft cheese compared to the Perl W..
Colliers Matured Cheddar BlockContainsPasteurised Cows MilkPack SizeApprox 2.5k..
Anadl y Ddraig (Dragon's breath)A hot chilli cheddar with a hint of sweetness and the creaminess..
Snowdonia Ginger SpiceMature Cheddar Cheese with Crystallised GingerContainsCows&nb.. 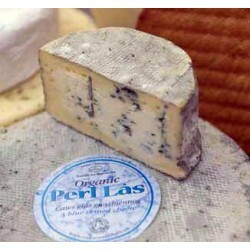 This washed-rind, semi-soft cheese is pungent, savoury-tasting and has a slightly nutty aftertaste. ..
Gorwydd CaerphillyMulti award winning cheese from Trethowan's Dairy in CeredigionA mature un..
Snowdonia Green ThunderMature Cheddar Cheese with Garlic & HerbsContainsCows&nb..
Hafod - Organic CheddarContainsUnpasteurised Cows MilkPack Size3kg approx ..
Orange waxed Harlech Welsh Cheese (A blend of cheddar cheese, horseradish sauce and parsley)Made..
Lancych is a delicious, mature cheese with a sweet flavour.Made exclusively from the milk of Owen an..